​The CApure process recovers more than 99.9% of the biomethane present in the raw biogas. 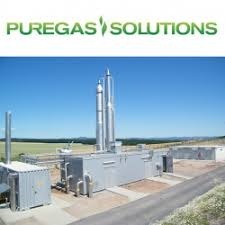 The process separates the CO2 from the biogas by a process of chemical absorption. The selective organic solvents used in this process are so efficient that the end product can contain more than 99% methane and is suitable for vehicle fuel or to be injected into the natural gas grid. As the final product is so pure there is often no requirement to enrich with propane. Siloxane removal is extremely efficient with contents of less than 0.05 mg/Nm3, which is the lowest detectable level for today’s instruments. Unlike other technologies the CApure process is highly tolerant of changes to the raw gas composition resulting from changes in feedstocks.